← The Power of Choice…Will Change Your Life!! Divine Order? What the heck!??@@!#$%@!$#?? So you know how people say “if things were meant to happen they will”? Did you ever feel that was a cop out like I did when I was younger? I mean, we want something and maybe pray for it or about it and then say that? It felt like I was giving my faith a loop hole or a cop out. I asked for it, I prayed about it, I should get it, right? And of course exactly the way I asked for it. Seemed simple enough. Uh huh. SEEMED simple! But what happens when you don’t “get it”? Or it doesn’t happen the way you think it should? Do you give up, freak out or hang in there when things don’t quite go right? I am constantly reminded to stay in the flow of my good and recognize that it doesn’t always show up in my time and exactly the way I think it will. This especially happens for me with money. Just a couple of days ago I decided to sell my old car and shop around for a new one. I wanted $5,000 for my old car or more so that it would help with buying my new one. I thought I had a sale in the bag and so didn’t advertise at all. Turns out my hoped for buyer could only pay me $3,000 total due to other issues. I somehow knew I didn’t need to freak out and that all would be well. I have to admit after many (many) years, I’m finally able to shift pretty quickly from disappointment to a knowingness that all will be well. Turns out that I got the exact car I wanted for a smoking deal saving me $3,000 from what I had saved for my new car. I got an intuitive hit when I was done signing papers that I should pass my good fortune on to my prospective buyer and give them my old car for the $3,000; this is someone I know’s daughter whom I’ve never met; someone who I know will love the car and take good care of my girl. They were over the moon and had been praying for a good outcome on the car issue, with the thought that if it was supposed to happen it will. Sound familiar? I might have been able to get more if I sold my car on Craig’s List, but this felt right and good; and I actually came out ahead thanks to the great deal at the dealership. So know that the next time things don’t look like things are in divine order. 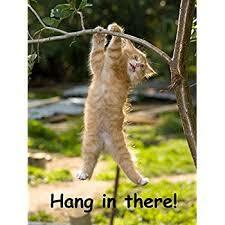 Hang in there a little longer. Trust that the story isn’t over. If you freak out, you may stop the rest of your story from unfolding, the part where it becomes obvious that everything truly is in divine order.